Next is a brand new intimate space opening on the island, holding a 300 to 400 capacity. The venue does not only create closeness within a crowd bringing that much loved intimate feel to the floor, but also provide a real connection between the dancefloor and the party-goers. With its own seven days a week party schedule there’s plenty of choice to explore the ins and outs of electronic music and enjoy the pleasures of the underground sound in San Antonio: NEXT. Next, the white island’s brand-new venue presented by Eden, will provide an intimate setting for the just announced Sound Garden Ibiza Sessions weekly party set to kick off Monday, June 8th hosted by the legendary Nick Warren. The party series will be an extension ofthe genre-bending spirit of Warren’s ace Sound Garden mix compilation series and revered monthly podcast. DJs already confirmed for the 2015 season include progressive house guiding lights Hernan Cattaneo, Guy J and Eelke Kleijn alongside more eclectic DJ’s like Omid Nourizadeh, Guy Mantzur, Of Norway, Nicko Izzo, Wehbba and Tim Andresen. Bringing a refreshing blend of new and established talent, Warren’s Sound Garden Ibiza Sessions is a hotly anticipated addition to Ibiza’s summer season. LaNoire is the result of two opposing views that converge in a unique universe. The female duo’s interest for underground sound has led them to experiment with different styles of techno in their sets in order to transport the audience to a total escape from space and time, only music fits into their universe. LaNoire lives in Ibiza, where they are making a reputation, and presenting this new concept exclusively for Next: Nomad. Tuesdays from 2nd June. Next opens its doors to one of the most authentic garage sounds courtesy of Sun City. The brand was created back in 1996 and was soon to become one of the benchmark parties representing UK garage. The Sun City sound has been travelling all over since and bring its garage vibe to Ibiza starring Artful Doger, Romeo & Lisa Maffia (so solid crew) , Jammer (boy better know), DJ Mikee B (the Dream Team) , Oxide, Neutrino, Dj Cameo, Tim Westwood & more. Thursdays from 25th June. Conceived and designed in Ibiza, this project is based on a respect to the cooler tech-house sound, a sound which is imprinted on the dance floors of the island. A perfect concept for the new room of Eden Ibiza, where there will be no distraction from the music. Ryan Daniel, Natalie Roache, One Over, Tommy K and many more surprise guests will make Detroit one of the pinnacle parties of the summer for those in Ibiza with a like-minded understanding of music. Every Saturday from the 6th June. 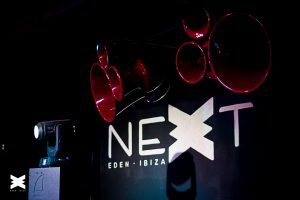 Next closes its weekly party schedule week with Such, a new concept landing on the island full of energy and with a musical proposal that ranges from the most accessible techno to the most glamorous house. Live acts and worldwide performances will fill the deep underground venue of Eden Next Ibiza. Among its cast of DJs include Reelow, Rickzor Rumme, Pedro Vicario, Isbel, Jon and Ignacio Morales, Rodrigo Sandov, Sergav, Suciu and Taia. Sundays from 7th June. Complete your Eden Ibiza experience at NEXT! We believe that music obsession works as a surrogate for missing human bonds. Music can pierce one’s heart directly; it needs no mediation. Regular Tropical House mixtapes published every Wednesday. Hear us on MixCloud!